Express Yourself with These New Emoji Plushies Coming Your Way! HomeExpress Yourself with These New Emoji Plushies Coming Your Way! 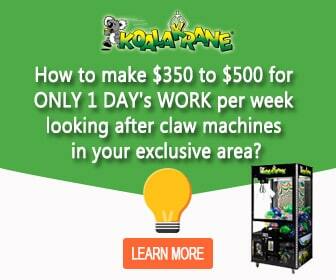 Koalakrane is taking emojis out of your mobile phone screens and into Koalakrane skill tester machines! Test your skill on one of our claw machines and you get a chance to win a cute, huggable emoji plush toy—available in 12 different varieties! Inspired by the latest Sony Animations film, The Emoji Movie, our awesome range of new prizes will make players smile, laugh, and cry happy tears, just like their favourite texting emojis! With various characters to choose from, each prize is worth every gameplay. Maneuver the claw and choose the emoji that best represents you. Better yet, win a Love emoji and gift it to a significant other. Also, why not choose a naughty Poop emoji to crack up a mate? With so many prizes to win, it’s too easy to be tempted to collect all of them! Aside from being children’s toys, these emoji plushies will make perfect collectibles to display at home. It’s a prize for the entire family! What are you waiting for? Head on to your nearest Koalakrane claw machine, play to win, and express yourself through our super adorable, new emoji soft toy prizes!